When the first Crysis game debuted some years back, players were blown away by how awesome the game looked. It’s now 2013, we’re just a few weeks away from the second sequel to the game, and it looks like Crysis developer Crytek wants to wow fans once more with Crysis 3. And while the game has yet to hit shelves, die-hard fans of the series must already be wondering where the franchise could be heading after the trilogy concludes and the inevitable Crysis 4 starts development. “You know, I think at this point I don’t want to give anything away. But I think theCrysisfranchise itself has life left in it. Whether it’s in a different game type format, whether it’s expanding upon this, it’s hard to say. That’s going to be up to the designers at the end of the day. While some Crysis fans out there may throw fits at the idea of their beloved franchise straying away from its FPS roots, I don’t think there’s any harm in trying out new formats. It’s also a way for a game to stay relevant and fresh. Personally, with the rich background and customizations available in the Crysis games, I wouldn’t mind if Crysis 4 went the RPG route and did something similar to MAss Effect 3. It could be a good compromise as it could offer FPS action to those who are more interested in combat but could open up stats and inventory management who prefer a more in-depth experience in their games. 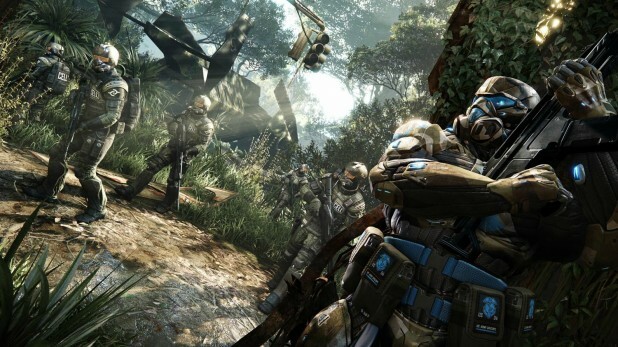 Would you like to see Crysis 4 move away from FPS? What genres do you think would suit the franchise? Let us know in the comments!